We recently completed production on a promotional video project for Prince George’s County Public Schools and personally, I’m really proud of what it represents. 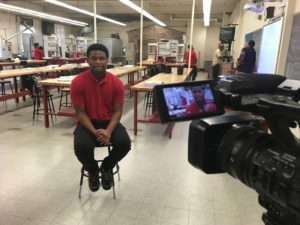 The Youth Apprenticeship Program video is 4:23 long, but the potential impact of the program can’t be measured in minutes and seconds. It is no longer enough for school districts to simply open its doors, shepherd kids in, teach from textbooks and send kids on their way after the final school bell rings. More and more, parents have increased educational options, and an amplified willingness to transport children outside of neighborhood school zones. School Districts have to step up or get stepped over and left behind. Prince George’s County Public Schools is stepping up. The Youth Apprenticeship Program focuses on vocational skills and is innovative, proactive and forward-thinking in its approach. The prominence of STEM education is understandable and must be included in curricula for a school district to be considered relevant. Just as important, however, we must avoid being blinded by the four-letter acronym believing it is a cure-all or guarantor of our children’s future. Research and statistics tells us many things factor into employment, not just a student’s major or emphasis of study. Personal connections, as well as implicit and explicit biases often weigh just as heavy in the hiring process, if not more. Thus, a plethora of course options, combined with encouraging words supporting student choices, is the optimum strategy in my opinion. Vocational training is nothing new, however, here’s why PGCPS’ program is exemplary. Prince George’s County Public Schools is putting resources behind it! Students in their fields of study will work with school district maintenance during the summer and earn a salary. Yes, earn a salary!! 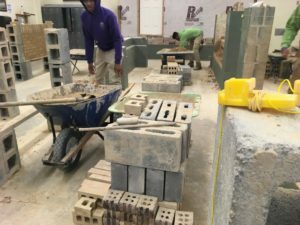 “This apprenticeship as a whole, during the summer making $15 an hour making way more than I’m making now it is just awesome,” said Crossland High School junior Tatianna Bigesby. The pay alone is reason for parents to celebrate. But in my opinion, there’s something even more important that that. The soft skills these students will learn, such as reliability, communicating with professionals, or learning how to work productively with others, are immeasurable. Prince George’s County Public Schools is proving it understands its mission in terms of workforce development. According to the National Skills Coalition, middle-skill jobs like carpentry, electrical, and masonry make up the largest part of the labor sector, and in the next five years, nearly 50 percent of all job openings will be in middle-skill industries. Middle-skill jobs by definition require at least a high school diploma, but not necessarily a four-year college degree. Salaries in these fields can be attractive as well, thus, PGCPS is preparing students to obtain livable wages in a D.C. metropolitan area that is becoming more expensive to live everyday. One final piece to the puzzle is preferential hiring agreements, which the school district has brokered with Prince George’s County agencies. 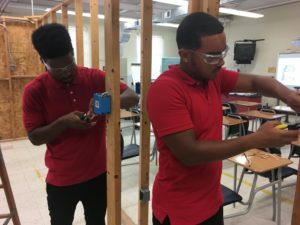 “We’re not only telling you that we are going to give you the skills, the training and the certifications, we’re also going to guarantee you placement,” said Jean-Paul Cadet, Director of Career and Technical Education for Prince George’s County Public Schools. Considering all this, I’m applauding Prince George’s County Public Schools because this is what public school education is all about. There are many headline-grabbing programs that might garner more attention, but this is grassroots education at its best. Classroom training, hands-on training, soft skills, pay, and preferential hiring. What more could we as stakeholders want? As we finished up production, Timothy Atchison, a 2008 Crossland graduate, spoke about using vocational training skills to support his family. “It is an amazing feeling to know that I can be a provider,” said Atchison. To me that says it all, great job Prince George’s County Public Schools, great job! 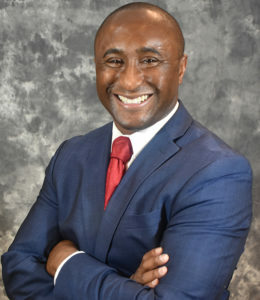 Dave Owens is the owner of Visionary Media Productions, a graduate of the United States Naval Academy, military veteran, and an adjunct professor of communications and journalism. We believe that every company’s story starts with a set of core values, which are interwoven throughout its workforce. We recognize that every company, big or small, has a story to tell. We handle that story with the care it deserves.